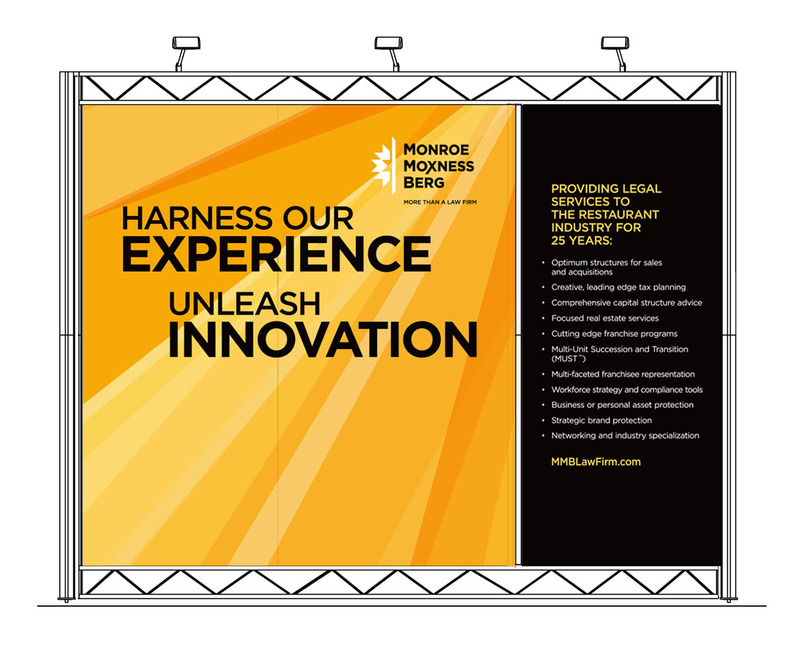 Monroe Moxness Berg’s combination of legal and business expertise in restaurant, retail and hospitality finance and franchising has made this fast-growing firm a powerful asset to many of the industry’s largest players. Our job was to give it a brand as unique as the firm itself. 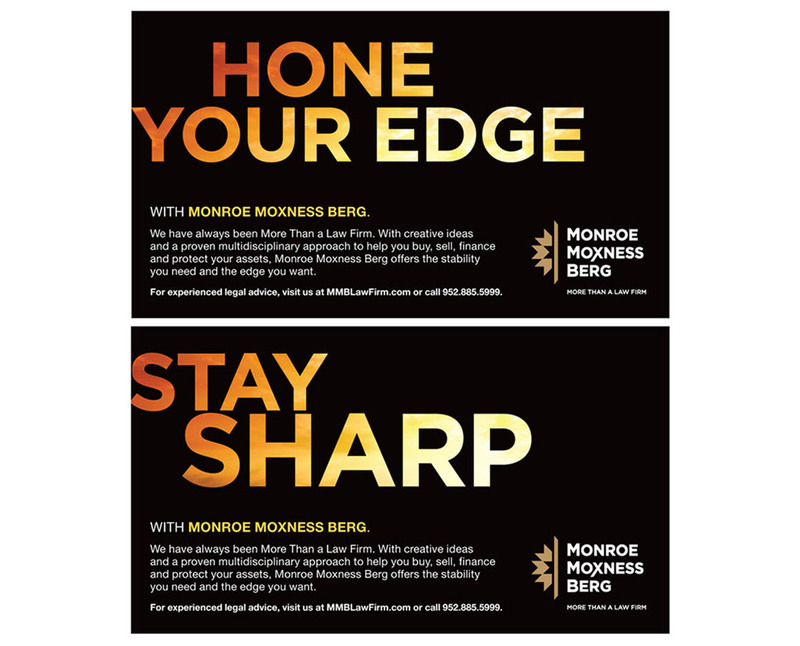 The logo features three arrows referencing Monroe, Moxness and Berg. Seen together, they suggest a source of light shining around the corner. Print ads leap off the page, promising light and clarity. 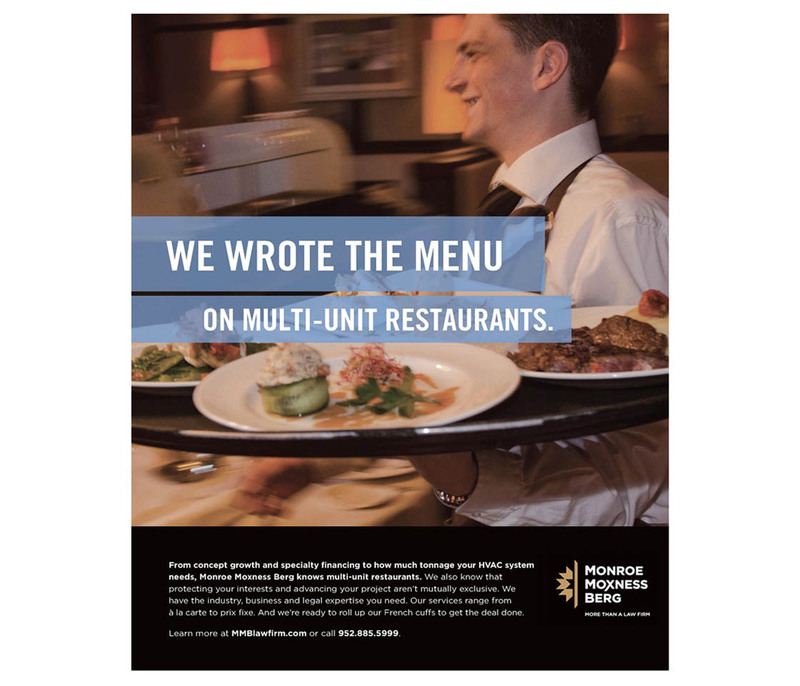 A Real Estate Journal ad directed to operators of multi-unit restaurant operations. 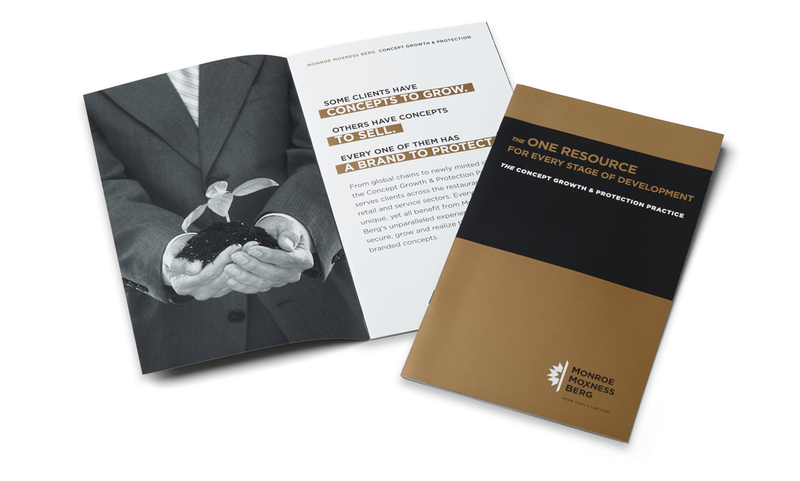 A brochure for visitors to the firm’s booth at restaurant, retail and hospitality trade shows. Backdrop for a restaurant industry trade show booth.